Superior by design and construction, the Kuhl Men's Firefly™ vest features lightweight Primaloft Gold™ insulation for enhanced breathability, flexibility and protection from the elements. With superb warmth-to-weight ratio and continued insulation when wet, Primaloft Gold delivers body warmth in harsh conditions. Sourced from a superior Japanese mill, the 20 denier, DWR nylon body repels water and delivers durability in a soft, lightweight shell. Kuhl’s legendary 3D pattern and body mapping reduce bulk and provide a form fit. Stretch binding secures the seal at the armhole and bottom hem. 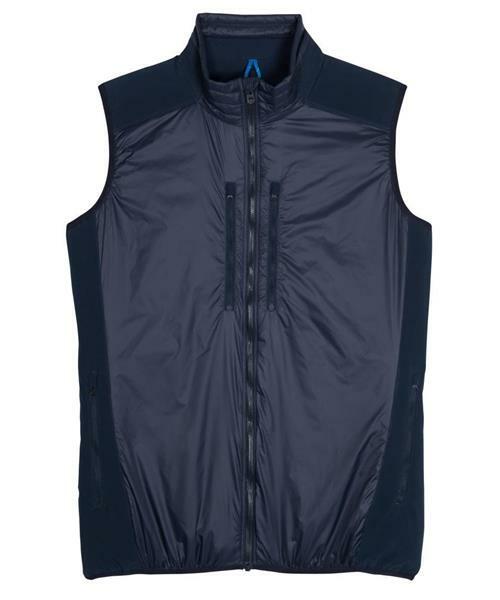 The men's Firefly vest features reverse coil hand and chest pockets and an inside mesh pocket. Tested to more than 10K pulls, the YKK Metaluxe™ center front zipper looks like metal at one-third the weight. Custom reflective ribbon at draft flap and inside pockets prevents snags and increases visibility in the dark. Technically superior in fit, construction, and materials, the men's Firefly vest lights the way in the lightweight insulated category.